When buying wallpapers in a shop, vendors often recommend you the one they like, ideally the most expensive one. But can you be certain, that the pattern will fit into your home? There are fashion trends even in the area of ​​wallpapers, but it does not mean that you have to follow them at any price. When looking for the best wallpapers, consider both the classical and the trendy options. Various designs and colours of wallpaper can cause various transformations of the interior space. You can violate the harmonious atmosphere by an improper choice. That is the reason to go to a special shop. 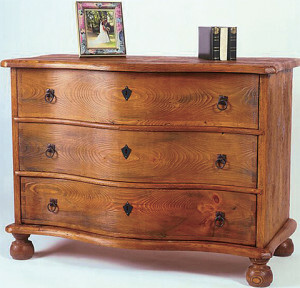 You do not need to buy at once, consult an expert first. And you can do the actual purchase in a cheaper wholesale, a hypermarket or a hobby market. In general, the individual patterns complement the overall “mood” in different ways, but with a suitable combination of colours, patterns and furniture, you can achieve a better result than if the walls were painted or decorated with other decorative materials. Wallpapers with stripe patterns always create the illusion of height, therefore they are ideal for areas in which you need to create the seeming of a soaring ceiling. Do not use a wallpaper with stripes on uneven walls, as the clean sharp lines of stripes will highlight even a light ripple. The latest fashion brings a lot of wallpapers that have a directionally un-accentuated, almost smooth finish, resembling the design of a diluted painting. Be careful as it can be quite difficult to create subtle transitions between the bands of wallpaper with these patterns, as there is no specific pattern that would distract attention from the transitions. Generally, these wallpapers are glued easily because of their dense patterns which obscure the transitions well. Large floral patterns should be used in large rooms only, otherwise the pattern may cause the room to look smaller than it actually is. 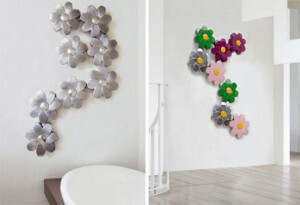 Small flowers evoke the rural environment and they are ideal for uneven or slightly rough walls. The fragmented pattern distracts the attention from any deficiencies. 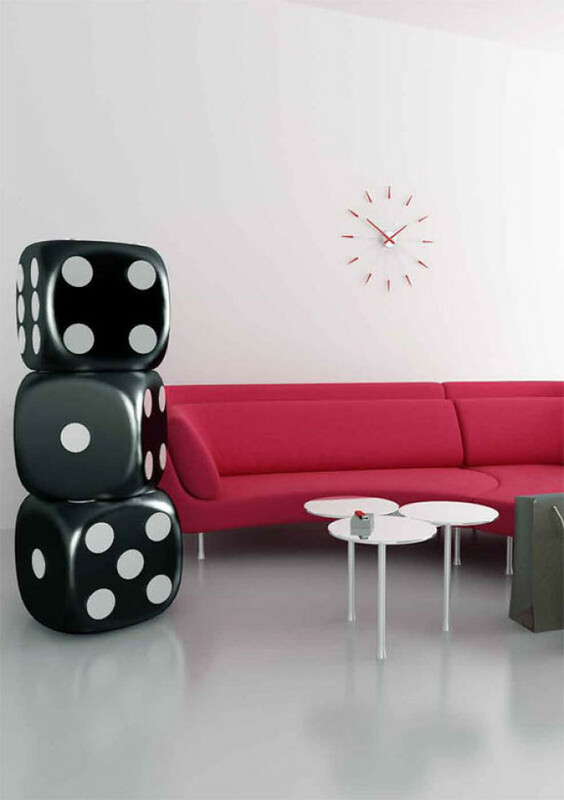 Wallpapers with one or two repeated themes must be glued with the utmost precision. If the belts are not glued well, any flaws will be very clear. Although the final effect is very nice, handling these wallpapers is not easy for a beginner. Some manufacturers supply wallpapers with images of landscapes. To produce an accurate image, the wallpaper bands must be glued to the wall in the specific order. This unusual effect can effectively complement the decor of a room, if the size of the picture corresponds to the size of the wall. Some classic designs will probably never go out of style, e.g. fleur-de-lis, the iris shape. However, many of these images make a room look quite formal, that is why you should take this factor into account when choosing a wallpaper pattern. Have you ever bought a beautiful bed linen, but it lost its vibrant colours after one wash and its shape after a few weeks of use, so that you were left with nothing but a piece of cloth? Maybe you chose an inappropriate material, or you bought the linen at a wrong location. We are going to advise you how to buy a bed linen that will serve you for years. Most of us choose the bedding by its colour and design, but you should decide according to the material, first. 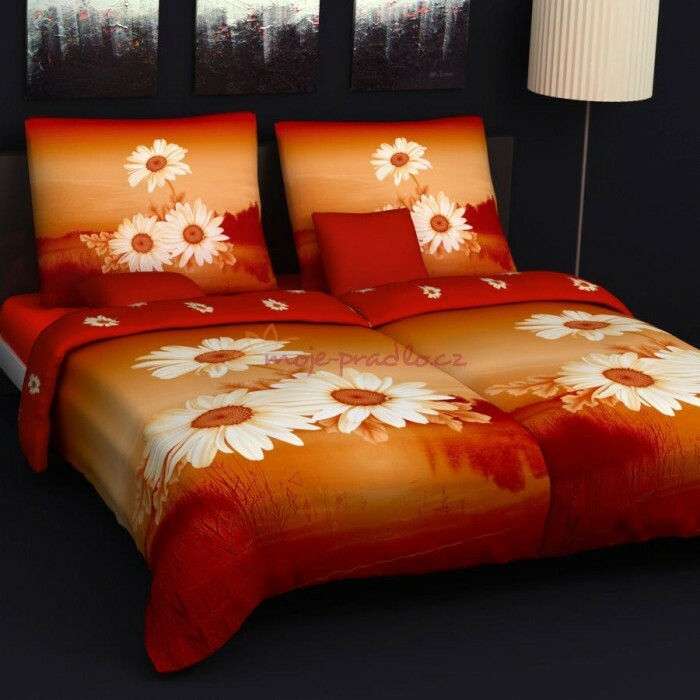 Most frequently, you see bed linen made of polyester, which is attractive for its low price. However, try to avoid polyester whenever possible – it is the very material that loses its colour and shape! And additionally, it is neither breathable nor absorbent, which are the main qualities you expect from your linen. Tip: The ideal material for bedding is clearly cotton. 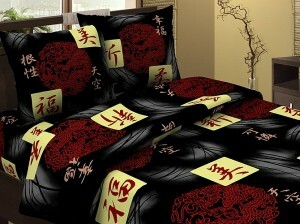 Cotton bedding is breathable, absorbent and comfortable to the touch. The bunk beds are not only a great option for small bedrooms in which the classic beds would occupy most of their area. The high structure of the bunk beds also breaks the traditional layout of the interior and gives flair to the entire room. The bunk beds can be found in the interior design already for many years because of their effectiveness. 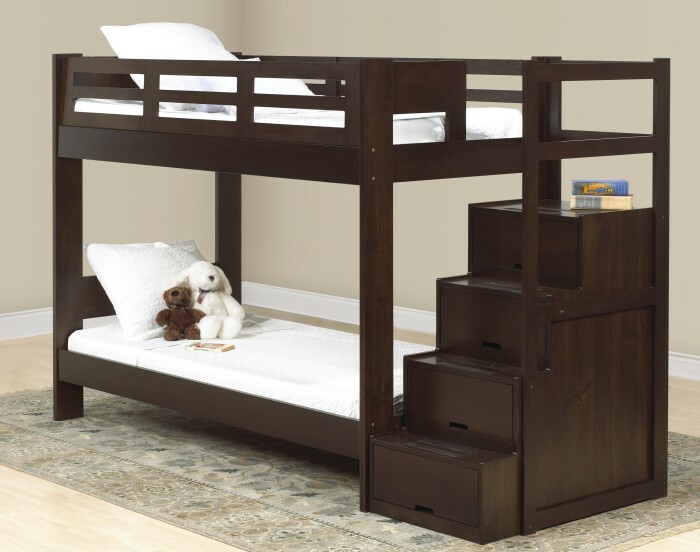 The high positioned bunk beds can utilize the same floor area twice so much. “The bunk beds with tiers are space-savers of their nature. The beds themselves are compact and they are usually the most space occupying furniture in children’s rooms as well as in bedrooms. Their upwards structure gives you more free area, which you can use for everyday activities in the room,” an architect says. 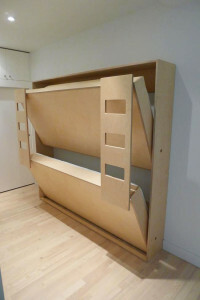 The high bunk beds are nowadays often used in bedrooms for adults too, where the saved area is used e.g. 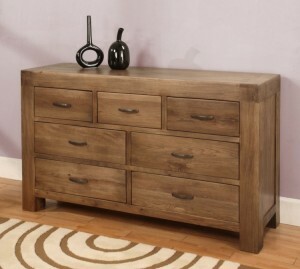 for a desk or a couch, thus creating a practical living space. 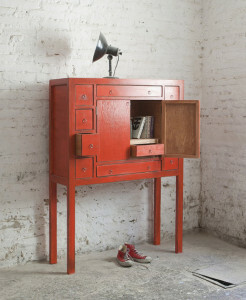 However, this kind of furniture does not fit in every apartment. In this respect, the ceiling height is determining. This kind of solution is the best at the ceiling height of about 3.5 meters, so the bed could be placed high enough and you could move under it comfortably. “If you do not have a ceiling of this height, do not despair. 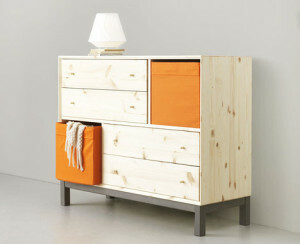 The space under the beds can be used for cabinets, an open closet or even for an open work area,” a designer says. The bunk beds are usually placed in children’s rooms so that the children had enough space for playing,. In most cases, the kids argue about who is going to sleep in the upper tier. From the emotional point of view, the kid in the upper bunk feels better because he or she does not have so much open space above them. 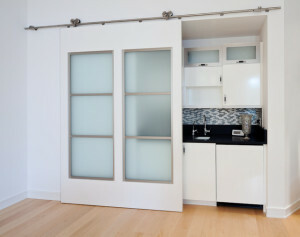 The sliding doors can be the best solution in many different cases. However, people often do not remember them at all and they look for other more conservative solutions, instead. Sometimes all you need is just to think a little unconventionally. How do you know that the sliding doors are right for you? Try to follow these rules. Sometimes you want the kitchen to be connected to the living room and sometimes you need to separate them, both in sound and emotionally. The sliding doors eliminate the need of choosing and enable you the solution, which is suitable at the moment. 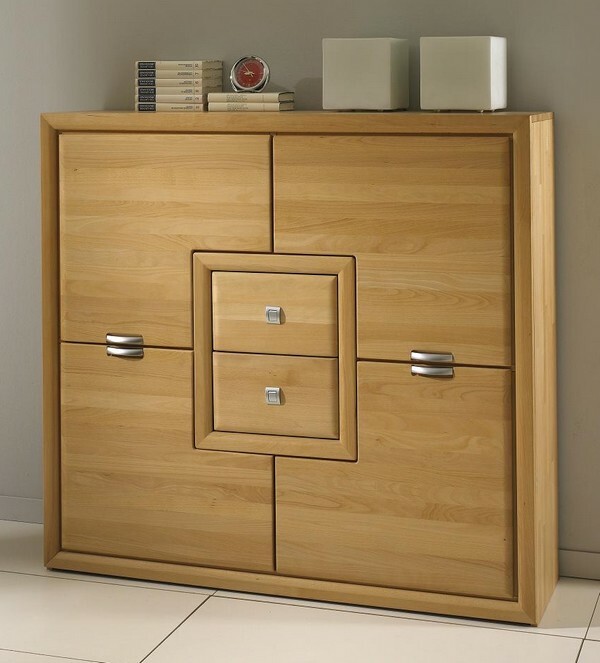 In a similar way, you can separate optionally a staircase, a small chamber in the kitchen or any other space, which should be easily accessible, but you do not want to have it in sight all the time. Whether you store the clothes in a closet or you are the lucky owner of a cloakroom, the sliding doors were made for this case, as well. There are low demands on the sound insulation, but usually the space is lacking. 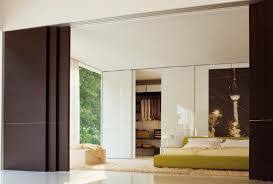 Additionally, the sliding door can serve as a decoration which does not occupy any extra space. You can have the sliding doors made to measure and solve them in an interesting spirit of art, or you can simply prefer the Japanese style of minimalism. There is a trick of optical enlargement of a small window: you just extend the curtain rod so that the opened curtains do not get in the window opening. You can do a similar “magic” with the sliding doors. With the sliding door, you can also enrich an ugly little passage to an adjacent room, or to change the look of a small alcove that serves as storage. The trend of open-space living is still in and it will probably continue to be, because the loft apartments have their undeniable charm. A frequent argument against them says they lack privacy; however, you can do something with it. 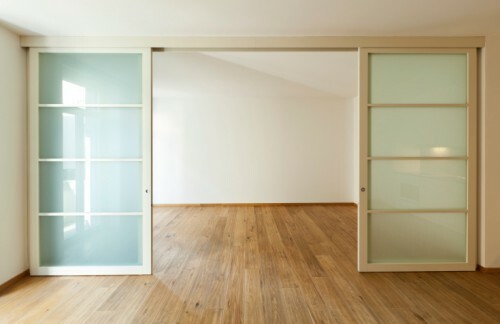 The sliding doors need not be only the doors, they can simply become a wall. In this case, it is a mobile wall determined to variably change the look of a large continuous space. A system of sliding panels like this will actually create the feel that you have several apartments, each of them with a different layout. The sliding panel is one of the best options, if you want to combine the use value with the aesthetic value. However, it does not mean, you cannot use it purely for the decorative purposes. 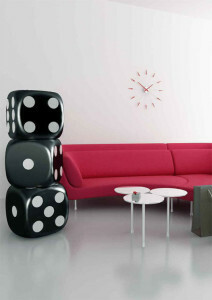 It is also an interesting way of displaying a mural artwork in the room. Even in the past in townhouses, a system of paintings hung on pulleys from the ceiling was used, so that the paintings could be moved as desired. 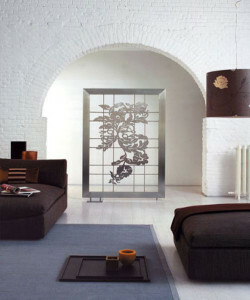 Now you can make something similar with a decorative panel, which was originally intended to be a partition. A radiator need not be the unsightly tangle of tubes any more. 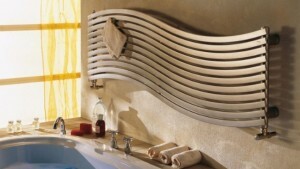 The unique design of radiators brings beauty and elegance even into the places, where you might not expect it. 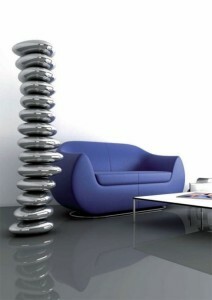 Nowadays, as a “radiator”, it is not necessary to imagine only the old cast iron radiators with dull colours. The manufacturers offer a wide range of luxurious designs and playful shapes, where even the most demanding customers can choose. When furnishing the interior, you should not pay attention only to the overall style including the accessories, but also to the equipment which is necessary in the room. Even the radiators can look good and fine-tune your home. The current heaters do not have only their practical use, their task is also to improve every room aesthetically. The appearance of radiators should not be underestimated. They are an integral part of the interior, which can easily become the dominant that gives elegance and flair to the entire space. 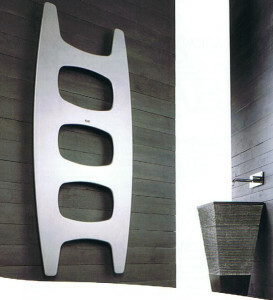 The designer radiators are not only unique in their appearance but also in their shapes. 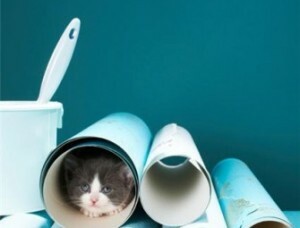 Thanks to it, we can easily accommodate them even in places, where a radiator would not previously fit or suit. In the manufacturer´s offers, there are the radiators extra thin, oblong or in completely asymmetrical shapes. You can easily install them not only in the classic space under the window, but also e.g. on the wall next to the door, where the radiator would look almost like a work of art. The designs for radiators are usually created by the manufacturers themselves or in cooperation with residential designers. 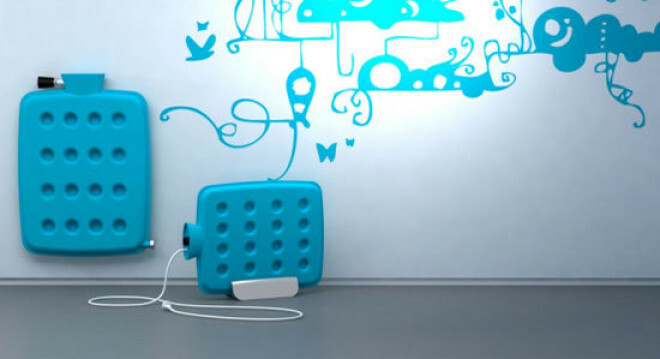 However, if you are interested in a completely unique look, you can order a radiator from certain suppliers, who can stamp your own theme in a form of a picture or a photograph on it. A radiator tuned in this way can upgrade virtually any room then. 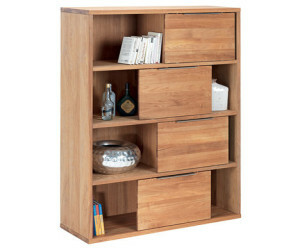 It is suitable not only in the living areas, but also in a bathroom, a kitchen or a bedroom. We all spend one third of each day in our beds. Whether you sleep peacefully or toss and turn from side to side, it depends a lot on the mattress you are sleeping on. The mattress has a great influence on your sleep. So if you plan to replace your old mattress with a new one, you should not underestimate its choice. How Does A Mattress Affect Your Sleep? One of the ways in which the mattress affects your sleep is related the fine blood vessels (capillaries) lying under your skin. When you lie on any part of the body for longer time, your weight decreases the blood flow through the blood vessels here and thereby deprives the skin of oxygen and the nutrients. On that basis, the nerve cells give the brain information to turn the body over. The turning restores the blood flow to the area, but also briefly interrupts your sleep. 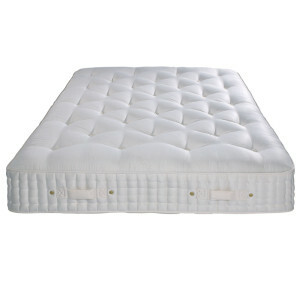 Therefore, it is necessary to choose a mattress that perfectly adopts to your body. This avoids the decrease in blood flow and prevents the constant turning over. The mattresses able to adapt further provide a sufficient support to our body. It means that the spine is in a horizontal position and the body weight is distributed evenly. Which Mattress Is The Best? The selection of the right mattress is not about finding the best and the most expensive brand. 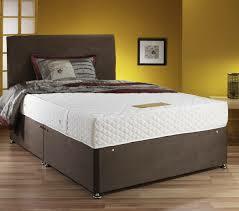 A much more expensive mattress does not necessarily mean, it is better than the cheaper ones. 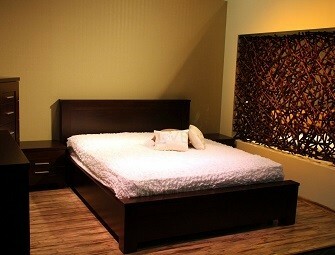 You should concentrate on what you require from the mattress, rather than on the price and the brand. Some people prefer harder mattresses, the other prefer a softer style. The hardness of the mattress plays an important role. It is necessary to choose a mattress, on which you do not to sink too much (too soft mattress), or where your knees, shoulders, head and buttocks are not under too much pressure (too hard mattress). For the sake of your comfort and good sleep it is necessary to choose a mattress that keeps your spine straight and provides the body with a sufficient support and cushioning. These are special mattresses, which can alleviate some health problems, due to its properties and parameters, as well as to improve your sleep in general and to support a better regeneration. The “health mattresses” are mainly suitable for people who suffer from back pain, spinal problems, disorders of blood circulation or the ones, who are confined in bed for long periods of time. How To Recognize A Medical Mattress? The Certificate – Every health mattress must possess an appropriate certificate. If it does not, it is not a true medical mattress, and there are many of them in the market. Therefore, when selecting a mattress, always ask for a certificate of the particular mattress. It is the only way to make sure that the term “medical mattress” is used correctly here. The Reduced VAT (in the CR) – The health mattresses can also be recognized by the reduced VAT rate (in the CR it is 15%). This is how they differ from the conventional mattresses on the market. The Renowned Brand – If you are still unsure whether it is a medical mattress or not, buy from renowned brands and companies. Thus you can be sure that the company, which operates in the market for a longer period of time, will not risk its reputation by selling poor quality mattresses. Among the guides, how to recognize a quality health mattress, is the symbol “CE”; it means, that the mattress meets the requirements for a safe product or is equipped with the (Czech) instructions regarding the maintenance and the use. How To Choose The Height And The Size Of The Mattress? In general, the higher the mattress, the more convenient and comfortable it is. When choosing the size, it depends a lot on the purposes the mattress will serve for, whether it is intended for everyday sleeping or just for an occasional sleep. However, each mattress should have the minimum thickness of 10-14 cm. These mattresses are suitable for an occasional sleep. If the mattress is intended for everyday use, you should better choose a height of about 16-20 cm. The size of the mattress is important, too. However, if you do not buy a new bed at the same time, you cannot choose the size of the mattress. The mattress dimensions of 90 x 200 cm or 180 x 200 cm are common and used the most. The mattress of 160 x 200 cm is used in smaller beds. Whether a classic or a medical mattress, all have two service lives: the mechanical and the hygienic one. Although the mechanical life is longer than the hygienic, it is necessary to change the mattress because of the hygienic reasons every 8 years.